Born Pretty Plate 09 is the 3rd of the bunch and having looked at the item page on Born Pretty Store, I can tell you straight away that, like the other 2 plates, this one is different to the one that is on sale at the moment. Except I would say that this one is the most changed of all of them, so much so, that the nail art I have done for this post, isn't really relevant to the one currently on sale because neither of the designs I have used appear on the newer version. This is also the only plate that I have had which has had a slight imperfection. It's not a huge imperfection, just that little blue bit in the flower of the left hand side design. At first I thought it was a bit of the protective cover but that little bugger isn't budging. However, I did do a quick test stamp of that area and the stamped image of that area was unaffected. So just a visual imperfection rather than a physical one. The rest of the images are etched perfectly and the images stamp with every little line and detail. So, avoiding the obvious smears and crumpled stamping on my ring finger, I was actually very happy with this mani. I can't quite put my finger on but it reminds me of something, a Moroccan pattern maybe? I dunno, I'm clutching at straws, but there is something about it. Plus, it is actually quite grown up for me and I could see myself wearing this to something important. Not that I ever have anything important to go to, but if I did, my nails would look grown up. I used 2 coats of OPI Don't Touch My Tutu because I wanted to give it kind of a black see through lace look and my nail is a little stained towards the end so I didn't want it naked naked, then I stamped using Konad Black stamping polish. Here it is matte too. Normally, when I add a topcoat, it is pretty much a given that I would prefer the matte version but for the first time ever, I actually prefer the glossy version of this mani. 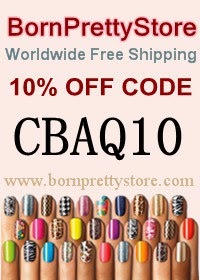 You can buy the updated version of BP-09 here for £1.98 and you can use my code CBAQ10 for 10% off your basket price. 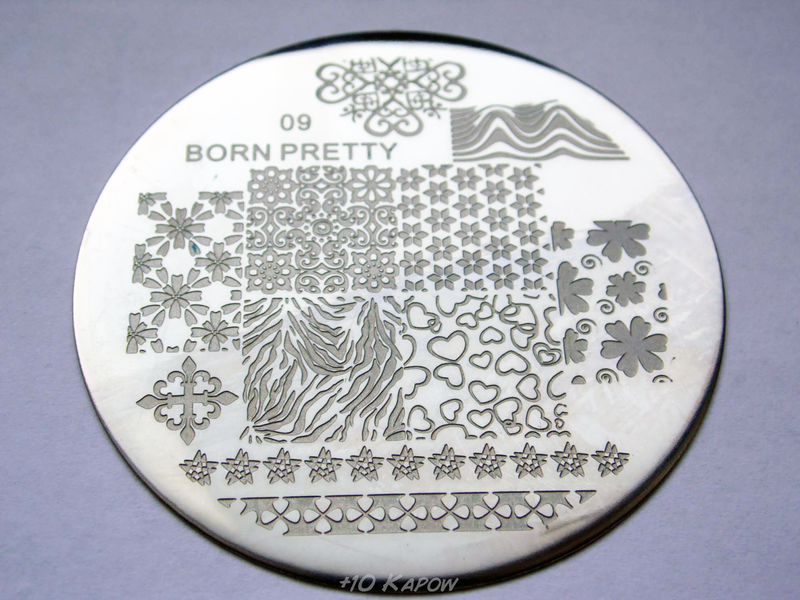 Have you bought any of the Born Pretty Store stamping plates lately. I would love to see any mani's you have done using the plates. 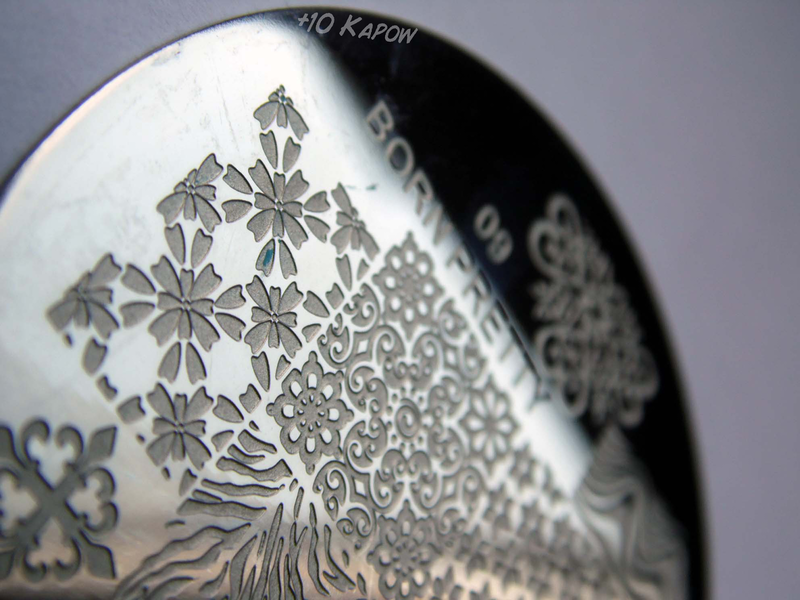 The stamping plate in this post was sent to me for review purposes. All opinions expressed are my own honest opinion.